When opportunity knocks, the Startec Everyday Mavericks answer. So when the economic climate darkened and much of the industry was contracting, Startec chose to take a different path - and expand in a significant way. We are committed to working relentlessly to find better ways of doing business and are driven to capitalize on the market dynamics we face today to strengthen our position moving forward. Taking advantage of a softening real estate market, we have purchased a new location large enough to hold both arms of our business and provide a significant opportunity for growth and expansion. It was a bold move and one that aligned with our goals to be a more efficient supplier for our customers. We believe our new facility will streamline operations and stimulate collaboration and teamwork, benefiting both our customers and our business. Beginning May 2018, Startec will bring our Compression & Process business, and our Service business, together under one roof. Located in southeast Calgary, our new home will consist of 16 acres of land and over 102,000 square feet of developed space. 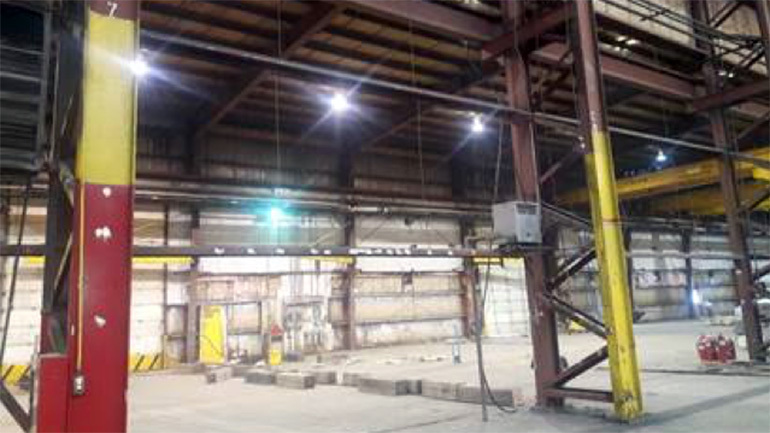 One of the features we are most excited about is the shop ceiling height of 50 feet. This will provide an under hook of the crane height of 38 feet - among the highest in the industry. In our existing facilities, we have been at capacity and overcapacity as our business has grown in the past few years. This new expansive facility will support our continued growth, allow us to build larger equipment, and be more cost efficient for our customers. But of course, one of our main goals was to bring our team of Everyday Mavericks together from different locations. "We feel this purchase is well-timed for the rebound of the industry," says Kristi Cawthorn, President Compression & Process. "There is a feeling that things are turning the corner and we feel this [purchase] is well-timed for that." Until we move together in May, the new site is bustling with renovations such as electrical work, cranes and office upgrades. Another important addition underway is the building of a central Maverick Lounge. The new informal meeting point for staff will be equipped with a kitchen for savoury treats and an entertainment area for music and games. We want the Maverick Lounge to be a place where our team can come together in a relaxed setting and collaborate on new ideas. At Startec, we passionately believe that we can transform our industry because there's always a better way.